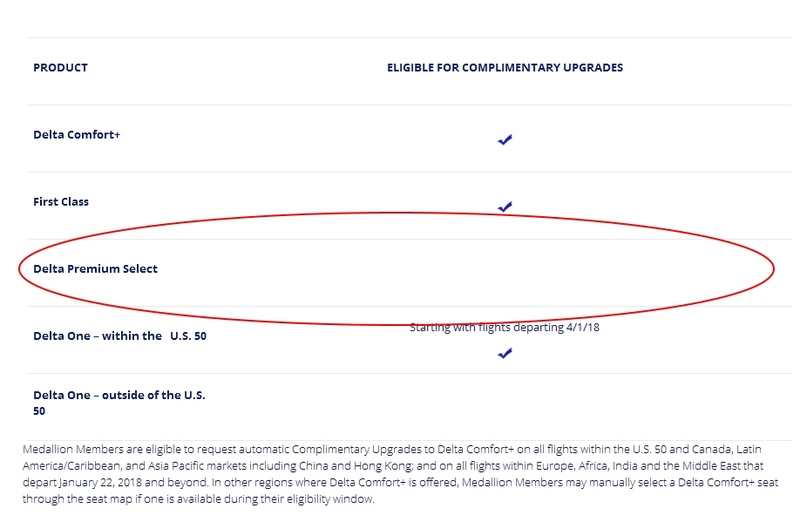 Free Delta One Upgrade Implications, Same Day Change Tweaks & the “new” Value of Medallion Choice Benefits plus negative 2019 Sky Club changes! WoW have the past few weeks been crazy. While I was floating across the Atlantic in an NCL Haven Suite (posts on the way next few weeks) with flaky satellite Internet, Delta made tons of changes to our Medallion program. Let’s look at them one by one and dive below the PR glitz and see the real implications for us at every elite level. Before we go too far, we should all remember that really this is a change BACK to what once was. Not so long ago domestic D1 upgrades were free. Then free only to Diamonds. 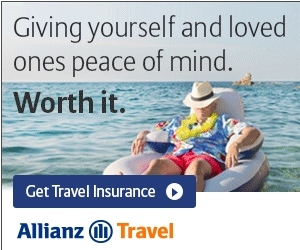 Now back to free again including your +1 since that is now part of the medallion program. Without question this change back is a positive one and Delta should get credit for making a positive reversal to what they had before – well done (mostly). 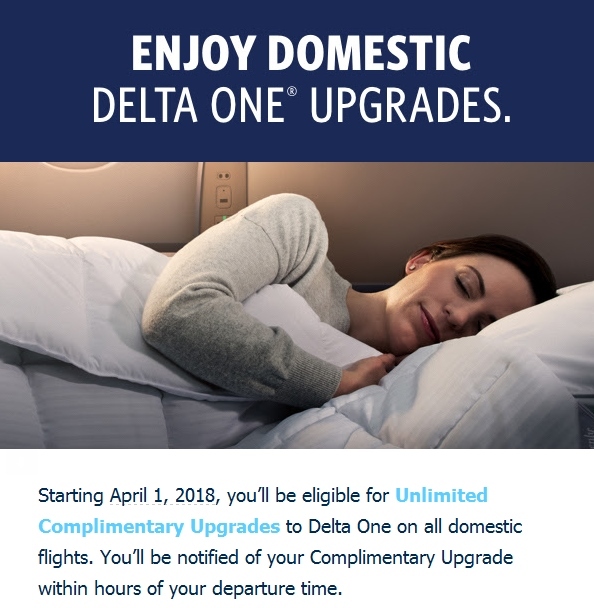 Starting April 1, 2018 domestic Delta One “experience” a.k.a. not just the Delta One seat but a flight that gets Delta One service is free medallion upgrade eligible. Rather than the normal medallion window these upgrades “start” at the 24 hour mark before flight. We can now use Regional Upgrade (RU) certs on all these routes – that is, no need for a Global Upgrade on flights to Hawaii from MSP or ATL etc. Understanding Delta seats and marketing spin. It is vitally important that you understand just what Delta is talking about because when the last Delta CEO could not keep track of what seats (and service) they market, how in the world could a normal flyer keep track? Let’s break it down. Delta One (experience). This is a full flat business class seat with upgraded wines and meal service course by course. Delta One (seat). This is a full flat business class seat that has standard domestic wine and meal service and is not considered Delta One (D1) but just normal business class i.e. it is not about the seat itself it is about the service. First Class. This is becoming more confusing than it already is. Delta first class is not first class at all. It is a domestic business class seat. Well, mostly. If you are flying this domestic business class seat to some international locations it changes the name to Premium Select (PS) – that is, what others call Premium Economy seat. Confused yet? Sorry, it’s Delta. Premium Select. This is a seat and experience larger and better than coach. It is a seat very similar to domestic first class and why on some routes you will be in a domestic first class seat that is marketed not as a first class but Premium Select (Economy). Comfort Plus (C+). This is the exact same seat as the rest of coach. You get a TINY bit more leg room sometimes and sometimes free drinks and sometimes a snack basket coach does not get. Delta calls it an upgrade when it is not. Main cabin. This is coach seating and service including exit row seats that are often the best leg room seats on the jet. Basic Economy. This is coach no seat choice. I hope you are clear on the above as Delta PR and marketing makes what should be simple hard by blurring the lines and calling things what they are not. Also, remember, they are mostly selling the experience so you better receive what they are selling you. But do you think you will ever score one of these free upgrades? That depends. First off, all the tips I have on the master post for medallion about how to score more upgrade applies. These “free” upgrades will be all but impossible on peak travel days and times. Heck, ask anyone trying to use a Regional Upgrade (RU) cert in 2017 and they will tell you even with that applied their upgrade percentage has dramatically dropped compared to 2016. Do you really think this is due to so many more elites? No, it is due to Delta holding more upgrades that used to happen at the old 5/6 day window and revenue management getting super stingy with RU availability (at any time). Next, and depending on the day this will be VITAL for us, we will need to play #TeamBoardLast on some routes. 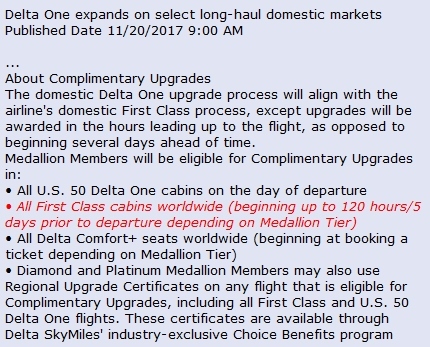 Even though Delta says the upgrades can begin at the 24 hour mark, it is most likely that, most days, medallion upgrades will happen at the gate. That means, if a seat is empty for whatever reason, you want to be the last medallion not to board to get that very last seat (officially if you board you give up your upgrade chance – period)! So, this is really sweet? Again, overall this is a positive move by Delta to mostly come up with a homogeneous Medallion upgrade experience across the board domestically. I really wish they had made the Delta One upgrade start at the 5 day window, but clearly we can see that revenue management told them that they sell a bunch of those seats between 5-1 days out and much less inside 24 hours. Anything Delta does is not a gift for us but a way to reward us with things that they “mostly” do not use anyway. Not “that” great – but also NOT free! Also important to remember is that Premium Select has not become, in any way, a free upgrade option. The exception would be if there is an international flight that connects in say Atlanta, and you get on in Atlanta, then you could get a PS upgrade as it would be considered C+ experience for that short domestic segment (all others on the jet don’t get this upgrade from coach). Another bummer part about this is that on the international short flights where domestic first class seats are marketed not as first class but re-branded as PS you can not upgrade to a seat you could have upgraded to if that same seat were flown on a domestic route. Confused yet? Just keep in mind it is the experience NOT the seat as I have said before. Choice Benefits ROCK even more. Bottom line on all of the above changes and adjustments is that Platinum (and Diamond) Regional Upgrade (RU) certificates, if you can use them, have become MUCH more valuable than they were before. Think about how amazing it would be to use an RU to upgrade on that mega long ATL-HNL flight enjoying a D1 seat and service! Yeah, I get this will be VERY hard but if you study off-peak flights you can score this – it will just take work on your part. Another change that did not get much coverage was the Same Day Change (SDC) update 4.1. I call it four point one because it was a minor tweak to the last change. I get that for leisure travelers SDC is not even thought about so I will not dive deep to explain it. Read up on what it is if you do not know. For the rest of us know you can no longer SDC from a domestic 1st class seat and service to a D1 route. For those who have been gaming ticket prices this way, that trick is now dead. Delta is protecting the experience and I get that – smart move. Having said that, my biggest problem is not this SDC change but the fact that Delta phone reps are so badly trained on SDC rules that you have to often HUCB to get someone to do what IS inside the rules. Well this STINKS – Thanks Delta! Sky Club 2019 membership becomes worth(less). Let’s talk about the dumbest change Delta made this month. Starting in 2019 (yes over a year+ away) if you are a Sky Club member you can not use your membership unless you are flying Delta or a partner same day. Really? What is the point of “membership” if you are not a member. I don’t get this or the negative #KeepDescending change with partner clubs. Please understand, starting in 2019, credit card access is just as valuable as individual membership with card like the Delta Amex Reserve card (great for bonus MQMs as well)! At least not hidden like award charts! Partner earning changes 2018 are sweet. Lastly, let’s talk about something I already blogged about but that has now become even sweeter. For the most part, across the board, Delta MQM & MQD distance and fare class earnings has become even sweeter than before. I will say this over and over, if you don’t like the idea of spending ¼ million dollars next year on your Delta Amex card to be MQD exempt, you NEED to reach out to my good pal ADAM to have him (and his team) help book you a mega partner mileage run to get what you need. Period! ← Thinking about flying Delta Air Lines? Here are the best and the worst parts to consider! 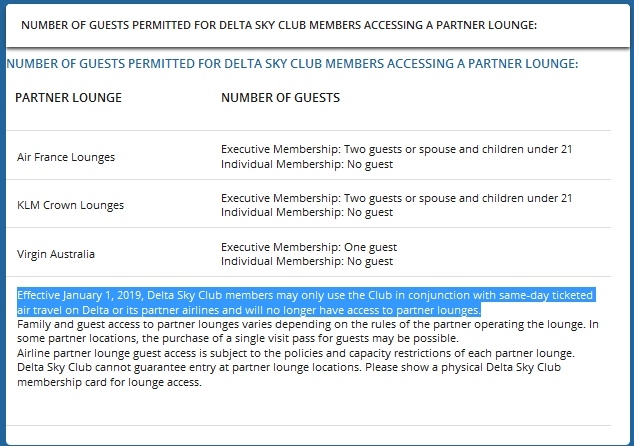 Regarding the 2019 Sky Club membership item, will one still get full access to Sky Clubs if one holds a non-Delta AMEX Platinum card? It seems odd that any credit card could provide better access than a full Sky Club membership. Regarding the SkyClub access policies. @Diane – Call Amex. Ask for a supervisor. If that does not work then email me direct for more help. The Sky Clubs that I tend to frequent are usually pretty full, so it makes sense to reduce the numbers, but going after the actual members first is nuts! I am in the SLC Sky Club right now, and it is only about 20% full, which is wonderful. A few more weeks and I am dumping the Delta Reserve card for an AMEX Business Platinum card. I had a little more time to study the partner earning changes for 2018. I agree that these changes are pretty sweet. While I am thrilled to have the new partner accrual options, and the 2018 partner changes will make it very easy for me to remain a Diamond Medallion, I am really struggling to figure out Delta’s motivation in enhancing MQD accrual for the tier 1 partners. How does incentivizing me to maintain Diamond Medallion status by dropping my Delta AMEX card and buying tickets directly from Delta partners help Delta? 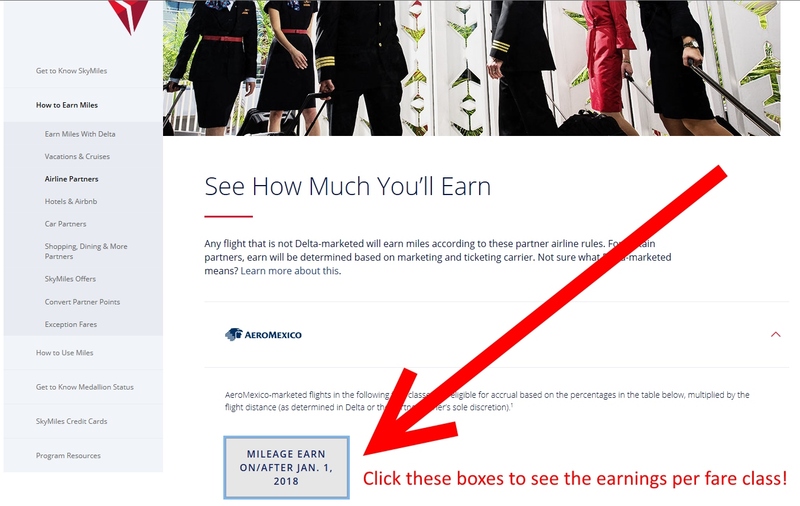 Does Delta have an incentive to send SkyMiles members directly to the partners?